Katie Nolan from A Tree Grows in Brooklyn models the neverending work of a mother and the importance of teaching children how to work hard. She takes multiple jobs to make up for her alcoholic husband yet never complains or allows this to become a burden to her children. While not perfect, no reader can question Katie’s motives, work ethic, and love for her children. 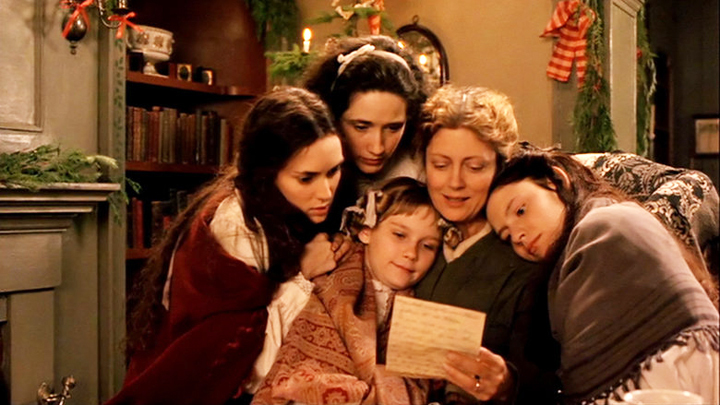 Marmee from Little Women teaches the girls not just how to keep a home (a primary role of mothers in the mid 1800s which is being replaced by fast-food drive-through meals for dinner and hiring a maid to clean – which I need one because my bathroom . . . . . ) but more importantly how to be good people. The girls watch Marmee do charitable work on a regular basis and benefit from her individual conversations centered on how to lean into who they really are. I have been slightly obsessed with Little Women lately; anyone else? Harriet Bailey, Frederick Douglass’ mother from his biography The Narrative of the Life of Frederick Douglass, displays a picture of fierce love. Harriet is separated from her son shortly after birth as was common practice in slavery in order to break family bonds; this practice, however, did not stop this mother. Harriet had been known to risk her life and walk twelve miles after working in the field to sleep next to her son at night then walk back before morning. Mamaw from Hillbilly Elegy believes in JD Vance and steps in to care for him when his own mother neglects him. Now I can’t provide any inspiring quotes from Mamaw because her language would make some boys in my 3rd block blush, but she shows up, provides a home for her grandson, and gives him straight up advice on life and living. Mrs. Bennett from Pride and Prejudice, the original helicopter mom, contrasts Marmee showing a mom who only focuses on social status and getting her daughters married. Through her highly entertaining character we learn how not to mother – don’t live your life through your kids and don’t neglect to focus on teaching kids how to be good people, not just how to get ahead in society. Mrs. Bennett is still somewhat endearing and does love her children and thus an all-time favorite character of mine. Bernadette Fox from Where’d You Go, Bernadette shows that a mom doesn’t have to abandon herself when kids come along. (Of course, Bernadette abandons her child, but I cut her some slack for this because I love her character so much). Bernadette puts helicopter moms at her daughter’s school in their place and is unapologetic for doing so. Plus she’s a funny mom; who doesn’t love a funny mom? Finally, for mothers struggling to live a Pinterest-worthy life but feeling more like Bev Goldberg, I recommend Present Over Perfect by Shauna Niequest which is present $1.99 in the Kindle format. I read this book a few months ago and appreciated Shauna’s (I’m acting like we’re on a first name basis even though she doesn’t know me) willingness to be transparent on the messiness of life; this is worth your time to read. This is turning into a random post, but how could I not include this favorite commercial? Have you called your momma today? Who is your favorite literary mom or what is your favorite Mother’s Day poem? Happy Mother’s Day to all of the great moms out there – keep making a difference in the world but more importantly in your family! And especially Happy Mother’s Day to my mom, Carol Graves, who as you can imagine put up with a lot of nonsense (from my brother). I love you, Mom!